And what store or product is that has my children’s attention way more than I ever have? It’s LEGO. 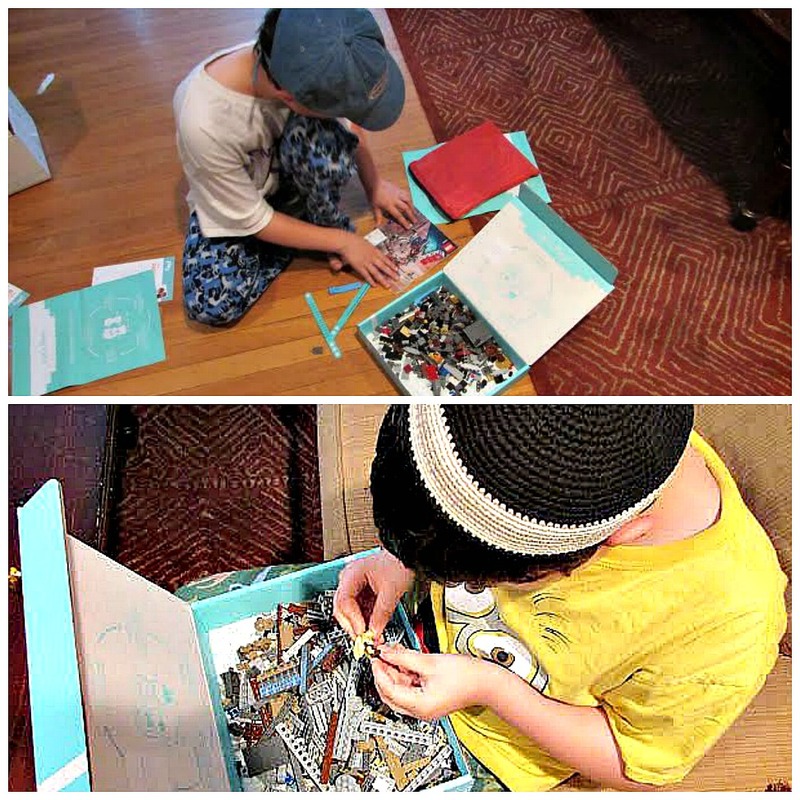 Yup, my boys are crazy for LEGO. If you ask them which LEGO set they want, their answer would be every one. For BR, the love of LEGO comes from assembling it. When he gets a new set, he’ll disappear in his room and won’t come out again until he’s done or he can no longer pretend he doesn’t hear Ms. MMK or me yelling. For SJ, it’s about the mini-figures. He loves to play with them and make up stories about them. Hmm, making up stories – where does he get that from? While the boys have no problems picking out LEGO sets they want, there’s a catch. LEGO can be pricey, with some sets costing in the hundreds of dollars range and more. So, what’s a parent to do? Break the bank to keep his children happy. Nah. Sorry boys. But there’s an alternative. And it’s called Pley. Pley is kind of like the Netflix of LEGO. For a monthly fee, you can have LEGO sets sent to your door. When your children are done playing with them, you simply mail it back to Pley and order another set. They have over 300 LEGO sets to choose from. By the way, the sets are sanitized after each use, so they’re in fine shape when you receive them. The set also comes with the manuals and the mini figures. My boys couldn’t wait for the package from Pley to come. When it did come, they opened it up and off they went. It was the regular LEGO fun. Now, while the boys would love to be able to keep the LEGO set, they are already talking about their next order. Maybe the Pley website will become more popular with my boys than the LEGO catalogue. Opening Package of Lego From Pley. 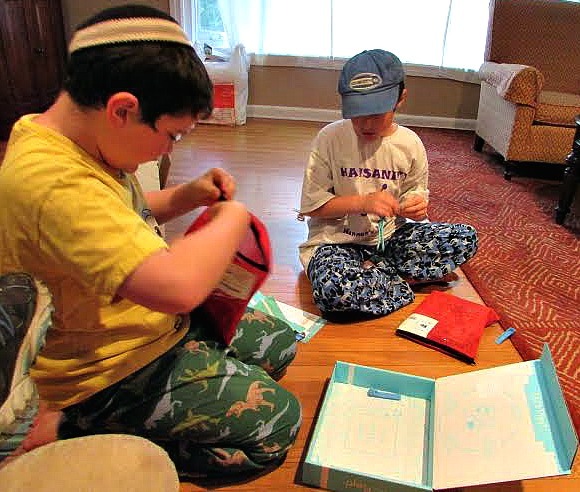 Disclosure: Pley sent a sample for me – I mean, my boys – to test. This entry was posted in Family and tagged boys, Children, Lego, Pley, shopping by lardavbern. Bookmark the permalink. Awesome! What a great way to keep it interesting! That is so cool! I bet mine would love something like that! I wouldn’t want to be the one finding all the bits that need to be returned though…. Yes, those bits can be a pain. I have found many over the years while cleaning. What a wonderful idea! And I can imagine the excitement when the monthly shipment arrives. I agree. It’s a good deal! What a great idea! The downside is that you can’t keep your creations, but I can definitely see Lego fans (like Yitzchak) willing to pay that price, as long as they can build the plane/bus/whatever they’ve dreamed of building.